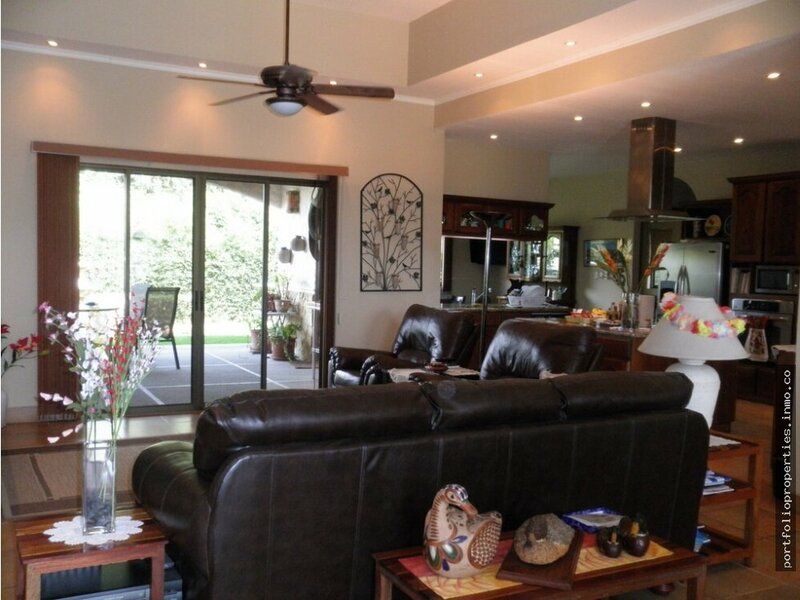 JUST REDUCED..short walk TO FABULOUS POOL, RANCHO AREA...Very charming, tropical one story home. Close to town, yet, private, smaller condominium. 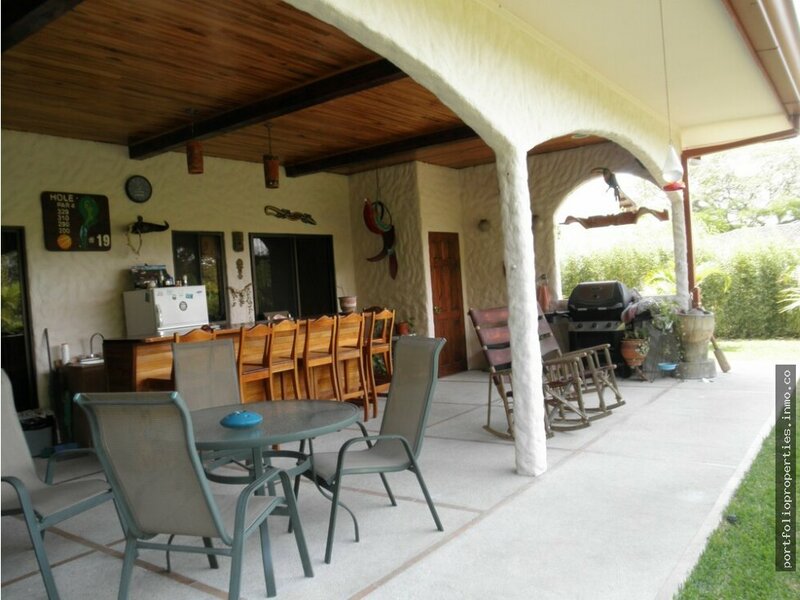 Giant outdoor patio for casual entertaining. Privacy to surrounding gardens, plus short walk to wooded common area, with large pool and party rancho for almost private pool access. 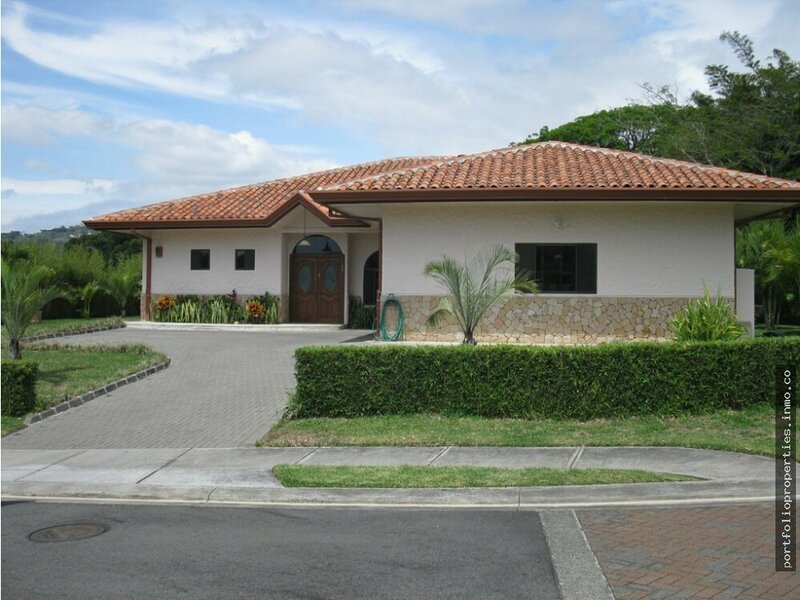 3 large bedrooms with nice baths, guest bedroom and bath, plus maid´s room and bath. 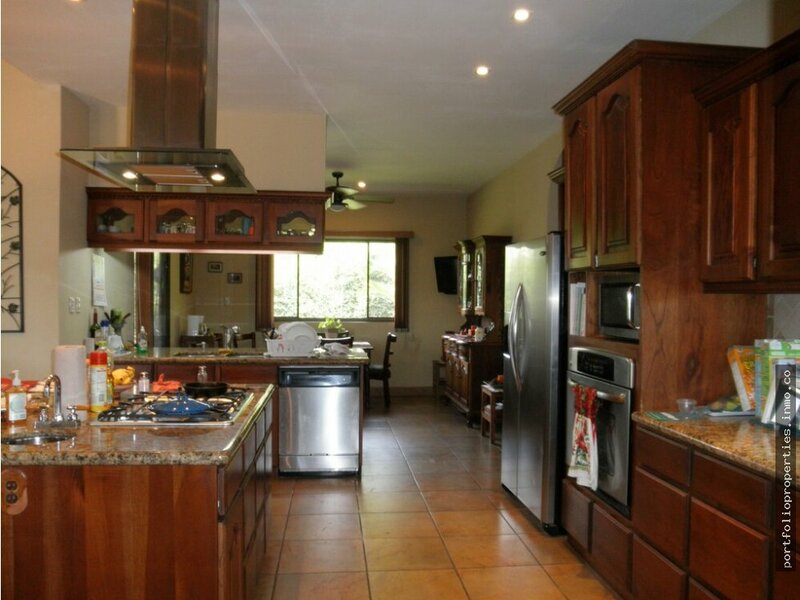 Grand gourmet entertaining kitchen for parties or just family gatherings. Included are superior kitchen appliances. 1,100m2 lot, 325m2 construction. WILL FINANCE WITH 30% DOWN AT 7 or 8 % INTEREST.